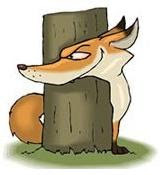 The Sly Fox Film Reviews: Neo-Nazis Run Out of Princeton! The New Jersey European Heritage Association has been hassling Princeton, NJ for months now. On Saturday, they decided not to show for a rally they announced and pretend it was all a joke when we said we will hassle them back. We still will. 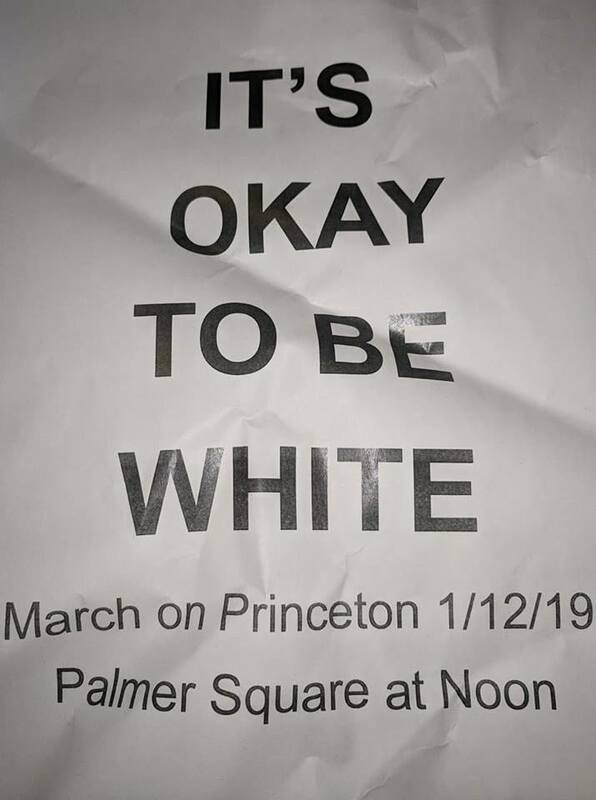 PRINCETON, NJ – The day before the New Jersey European Heritage Association (NJEHA) was to hold a rally, the fledgling White supremacist group posted on their Twitter and Gab accounts that it was all a prank and never intended to have a permit, even though residents caught group members posting flyers a week before announcing a rally at Palmer Square on Saturday at Noon. In the end even though the NJEHA failed to make an appearance, hundreds of community members, clergy and antifa who came out to protest Saturday and celebrated what they saw as cowardice on the part of the group. Jan. 12, 2019: Princeton Professor Emeritus Dr. Cornel West speaks to the crowd. They reinforced this belief by saying, “Our creed can be summed up by fourteen simple words; we must secure the existence of our people and a future for White children,” using a mantra created by neo-Nazi terrorist David Lane of the Order. It is believed that the group is being led by Dan D’Ambly a worker at a New York Daily News printing plant in Jersey City. Picture taken of Daniel D’Ambly posting the NJEHA flyers on a kiosk in Princeton. You can see some of the “It’s Okay to be White” flyers in this photo. For several months, the NJEHA has been flyering not only Princeton, but also nearby towns such as New Brunswick. Last November they performed a flash mob down Nassau Street where five members wore sunglasses and mouth gags while holding signs reading “It’s Okay to be White”. Last Sunday, a person believed to be D’Ambly was seen and photographed posting several flyers, including one announcing Saturday’s rally. Upon learning of the group’s announced intentions, community members began to organize a counter protest. Meanwhile some supporters of the NJEHA were promoting their event as late as Friday. Late Friday afternoon, the NJEHA announced that they never planned to hold a rally. Saying that promoting one was a hoax. Democratic Socialists of America (DSA) condemns both fascism and the enabling of fascism through silence. We commit not only to non-racism, but to anti-racism by organizing working people against fascist agitators trying to provoke racial hostility. Racial animosity is a core tenet of fascist organizing, and as socialists we stand against any actions that divide the working class with racist ideology. Today we are proud to say that our organizing has scared off the fascists, but we will still be rallying tomorrow to display our unity and strength. In order to resist fascist action, we must understand that these racist agitators did not come from nowhere. They are part of a system that enables the abuse of people of color, members of the LGBTQ community, native peoples, disabled people, and others regularly targeted by fascists. Indifference from governments and the police mean that we must rely on solidarity to protect each other from those who wish to do harm. We ask you to join us in actively resisting white supremacy in all its forms: on the streets, in the workplace, and in positions of power. Acknowledge, encourage, and assist local resistance organized by marginalized people. Recognize that peace without justice is tyranny. People who attended the white supremacist rally in Charlottesville are trying to gain sympathy and attract like-minded people in Princeton. They want to make themselves presentable, and we’re here to let people know who they really are and what they’re really doing. We believe that the best way to avoid a violent confrontation is to overwhelm them with numbers and deny them the space to spread their genocidal ideology. By dominating the space with sheer numbers, we believe that we can show them that they are not welcome, in New Jersey or anywhere else, and steal away their platform to promote our own vision of a better world. Our adversaries’ retreat proves that we are right. In Charlottesville and similar rallies around the country, the press has inevitably defaulted to a false equivalency in their reporting, writing about “extremists on both sides.” The police have protected white supremacists as they provoke violence; more counter-protesters have been attacked and arrested despite the violence coming from the racist groups. We are protesting this rally not to provoke violence, but to show the white supremacists that our communities will not stand for their hate. Jovi Val's Wash. DC Rally to Support Violent neo-Fascists Was a FailJanuary 7, 2019In "U.S."
Dingbatz Lied Again! Nazi Bands Performed at Venue This Weekend Despite Assurances They Wouldn't - and That's Twice for This ClubOctober 22, 2018In "Hate Music"
Call the Paramedics Loses Another GigMarch 19, 2011In "2011"